Jane Greer had great hair and eyes that a man could drown in. Jane Greer plays Kathie Moffat. The name hints at a corrupt childhood. The nun like outfit at the end of the film indicates a twisted result. Kathie Moffat is beautiful but especially so when she is evil. Build My Gallows High has the normal noir acceptance of meaningless existence but it also connects existential bleakness to self-destructive romance. No wonder the word, gallows, was used in the title, and no surprise that the chin up alternative to the title was Out of the Past. For Mitchum and Greer their illicit and eventually sordid romance offers an alternative to death, a passionate explosion that will, for a while, transcend time. The message is clear from the first scene of the film. ‘The only thing I get is older,’ says the spinster who works in the hamburger joint. Greer may have shot her previous lover with four bullets and robbed him of $40,000 but, watching her walk across a moonlit Acapulco beach, Mitchum believes he has escaped doomed existence. His femme fatal is convincing. She takes him to a casino. He watches her play a roulette wheel. ‘That isn’t the way to play,’ he says. Relationships help us lose more slowly. Romance, though, destroys. For men and women, it is more sinister than that. In Westerns, lonely heroic men find female homemakers. Obvious incompatibility is ignored. Film noir admits the truth. Romantic men are not for nice girls. After Greer kills his detective partner, Mitchum escapes to the innocence of the countryside. Bruised by Greer, he opens a garage and finds a homemaker. He prepares to lose more slowly. But if the decent do not betray you, they fail to provide the romance needed to challenge the bleak conclusion that awaits all. His girl in the country is dependable but too innocent to have independent status. This girl is a responsibility, someone men protect and shield from reality. There are two types of naivety in Build My Gallows High. All misunderstand the motives of others. Most absent-mindedly forget the consequence of time and death. All suffer. This is grim but what do we expect from a great movie, impossible happy endings? Build My Gallows High has plenty of style. Anyone who doubts Hemingway changed what we read and hear should listen to the dialogue. The names of the characters have poetical weight. A detective partner is called Fisher and he does. Whit Sterling is a gangster with a talent for making money. The hero is called Markham and that is his obligation until his death. The scenes in Mexico are low budget but evocative. They suggest mystery and the valedictory space that the outsider yearns for in a foreign country, somewhere to play slowly and remember. Howard Jackson has written 3 books. His next book, Nightmares Ahead, will be published next year and is a collection of horror stories. If you want to read more about American culture, click here. 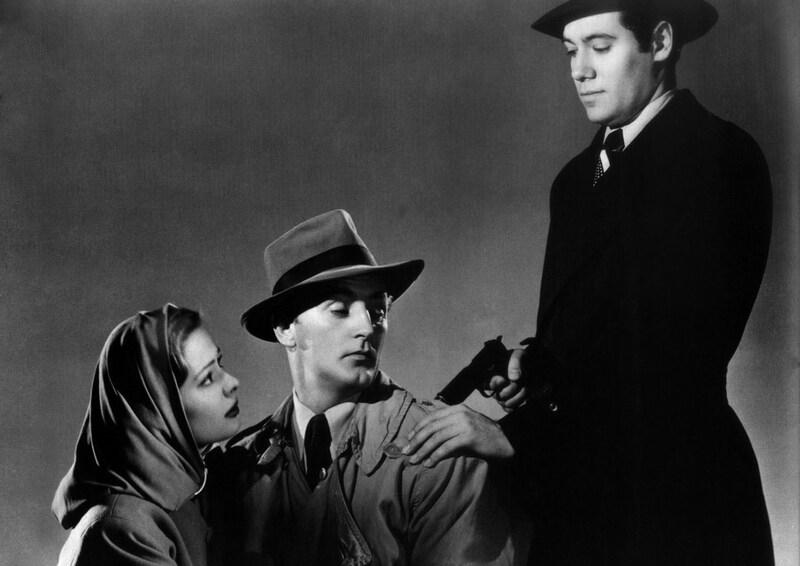 Posted in Film, Film Noir, Reviews and tagged Build My Gallows High, cinema, film, film noir, Jane Greer, movies, Out of the Past, Robert Mitchum on June 13, 2014 by Howard Jackson.